ARTIST SCIENTIST PRIEST is a 24-hour one-man-show by John Rogers. Over the course of a day the show charts the origins and rise of the human race. Using chant, dance, food, ritual, song and soundscapes, this ambitious performance is a meditative exploration of who we are, where we come from and what our future might hold. 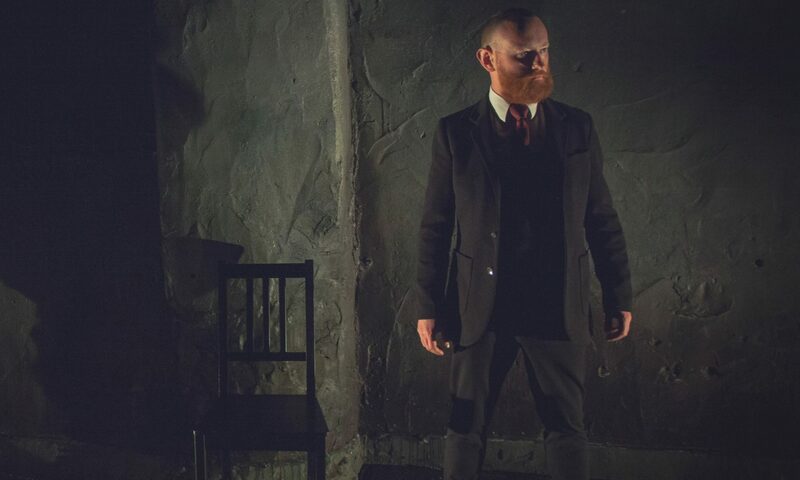 ARTIST SCIENTIST PRIEST premiered at the Dublin Fringe Festival in September 2014. It was performed at Galway Theatre Festival in May 2015. John followed up on Decision Problem [Good Time for Questions] with his one-man-show ARTIST SCIENTIST PRIEST. Where Decision Problem [Good Time for Questions] focused on the use of digital media in theatre, ARTIST SCIENTIST PRIEST continued John’s pursuit of durational theatre that had began with Waterdonkey’s Happening. ARTIST SCIENTIST PRIEST takes place over the course of one day and uses its 24 hours to chart the entire history of the human race. An optimist at heart, John postulates that humanity’s journey from hunter-gatherer communities to a sophisticated society simultaneously capable of miraculous advancement and utter ruin will ultimately culminate in a future of prosperity and peace for all. He maps humanity’s progress to that of the individual and argues that Utopia is a far more radical imagining than its dystopic opposite. John devised exercises and games and invented rituals to plot his argument and always allows the audience member the space to interpret the work in her own way. This is as theatre should be. ARTIST SCIENTIST PRIEST was performed at the Dublin Fringe Festival 2014 and the Galway Theatre Festival 2015.